Pterocarpus dalbergioides Roxb. ex DC. This species is accepted, and its native range is Andaman Islands. Pandey, R.P. (2009). 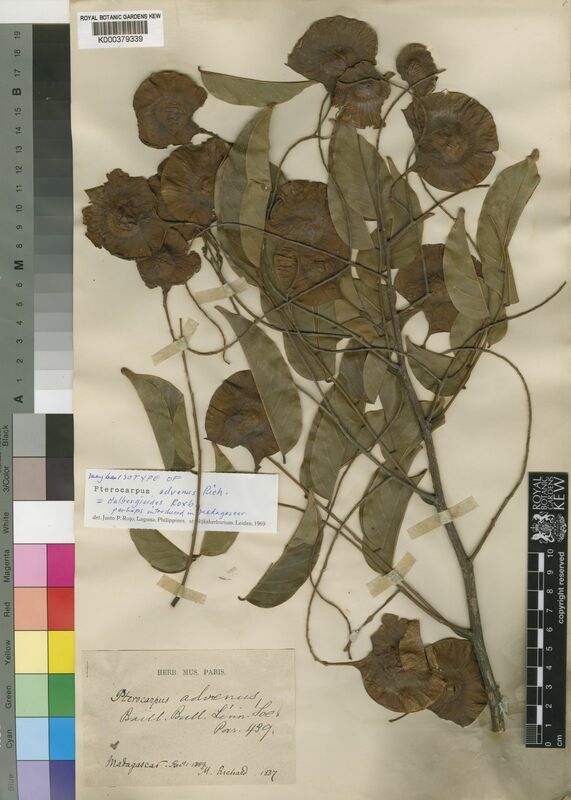 Floristic diversity of Ferrargunj forest area in South Andaman Journal of Economic and Taxonomic Botany 33: 747-768. Pearson, R. S. & Brown, H. P. (1981). Commercial timbers of India, Vol. 1. Anonymous (1979). Tropical Legumes:Resources for the Future. Washington. Rojo, J. P. (1972). Phanerog. Monogr. 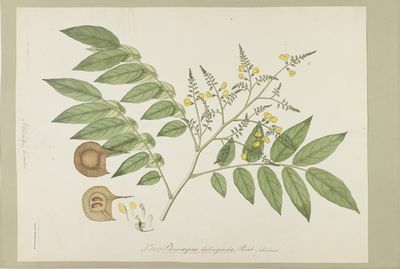 5:1-119 Pterocarpus (Leguminosae-Papilion..